April 16, 2015 Last year the National Association of Manufacturers (NAM) estimated that the federal regulatory compliance burden for U.S. manufacturing companies exceeds $2 trillion on an annual basis. March 20, 2015 “Stimulating a second life for plastics is…essential; they are too valuable to be thrown away,” said the Prince of Wales in his comments as prepared for delivery in a speech at the Hay Adams Hotel in Washington, D.C.
February 19, 2015 A Waste Management advertisement that ran during the 2015 Super Bowl incorrectly suggested that plastic bags aren’t recyclable. 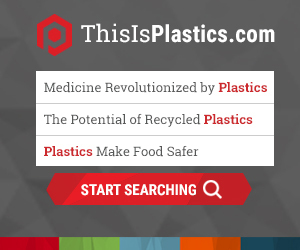 February 15, 2015 For Dart, a leading manufacturer of single-use foodservice material, among numerous other plastic products, New York City’s decision to ban plastic foam has raised questions, but hasn’t weakened their resolve to correct some of the most pernicious myths about this material. January 7, 2015 Plastic pellets are the number one business expense for all processors and converters. November 12, 2012 According to EPA, recycling can help conserve natural resources, reduce waste, prevent pollution, save energy, create jobs—and sustain the environment for future generations.Recycling also makes economic sense. For example, Americans generated an estimated $730 million in recycled plastic bottles in 2014!